A Quantum heat pump saves you energy, money and reduces greenhouse gas emissions once installed. State and Federal Governments are also rewarding those who install greenhouse friendly technologies. There are many financial incentives available. Renewable Energy Certificates (REC’s)REC’s are the trading credits that are created when you purchase and install an eligible solar or heat pump hot water system. Federal Government Solar Hot Water Rebate ProgramA rebate of $1,600 is avaliable to eligible applicants who replace existing electric hot water storage system. Conditions apply. Replacing an inefficient hot water unit is one of the most significant low cost, carbon-reduction opportunities available to the consumer today. Most people are aware of the three main ways to produce hot water for the home: electric, gas and solar. 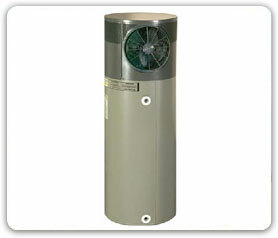 The fourth, is the energy and cost efficient Quantum heat pump. This revolutionary invention was initially developed in the 1970’s at Melbourne University. Extensive product development and a series of innovative technologies developed by Quantum has resulted in the world leading product that will save you money and reduce your environmental footprint. The Quantum heat pump water heater has the quickest hot water recovery for its size, utilising Quantum’s proven and patent technology. Today Quantum continues to be the leading innovator and manufacturer of heat pumps for Australian conditions. Heating hot water accounts for up to 30% of the average homes energy bill. This makes producing hot water the largest source of greenhouse gas emissions in the home. Installing a Quantum heat pump will reduce the amount of greenhouse gas emissions and reduce your cost to produce hot water by up to 75% when compared to other hot water systems. A Quantum heat pump is a patented system whereby heat from the ambient air is absorbed by an environmentally friendly refrigerant in the evaporator. This refrigerant gas is then compressed which causes the gas’s temperature and pressure to be raised. This hot gas is passed through copper tubes wrapped around the outside of the water tank as the condensor. Heat is then Transferred from the tubes to the water inside the tank. Once the heat from the compressed gas has been transferred to the water in the tank, the gas becomes a liquid again as it has lost it’s heat. This liquid gas then passes through an expansion device (TX valve) and back to the evaporator. The cycle is then repeated until the water in the storage tank reaches the set temperature. The Quantum heat pump’s efficiency stems from the fact that only minimal electricity is required for the compressor, fan and digital display panel. It works in temperatures from as low as -10o C up to 40+oC both day and night very efficiently without the need for boosting, and only Quantum can offer that! The heat pump principle is simple and can be compared to a refrigerator, but in reverse. It extracts latent energy from the air and transfers it to the heating system. This free energy from the environment is converted into useful heat to heat water. In other words, you are using free energy from the environment that doesn’t cost a cent, and at the same time reducing your carbon footprint.